“Those who contemplate the beauty of the earth find reserves of strength that will endure as long as life lasts. There is something infinitely healing in the repeated refrains of nature — the assurance that dawn comes after night, and spring after winter. ” – Rachel Carson, Silent Spring. The long drive through Waynad in north Kerala, from Sultan Bathery to Attatil, lead to an incredibly sylvan world whose reach seem nearly as improbable as the idea of a rain-forest itself! This amidst the scattering of towns along the road to Peria. 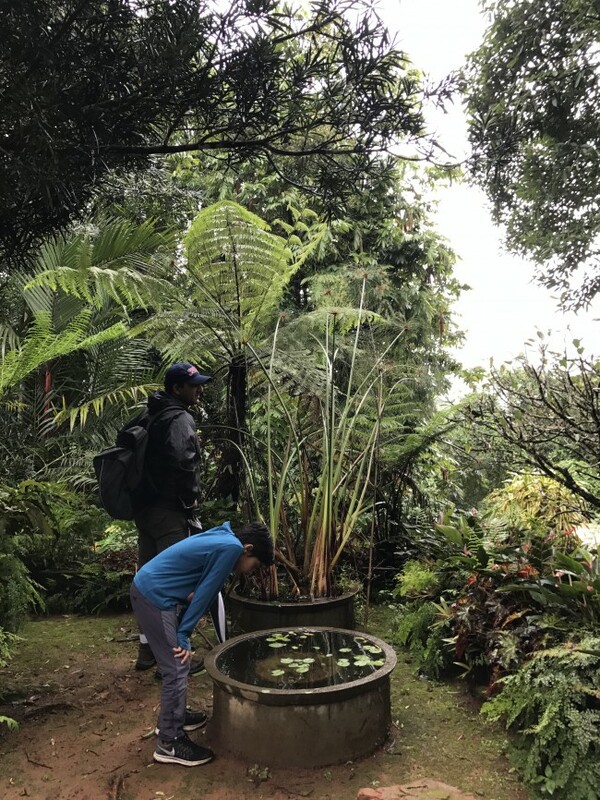 The Gurukula Botanical Sanctuary, a sixty-acre property, consists of a community of passionate gardeners who have made it their mission to work to restore the rain-forest habitat in the Western Ghats. 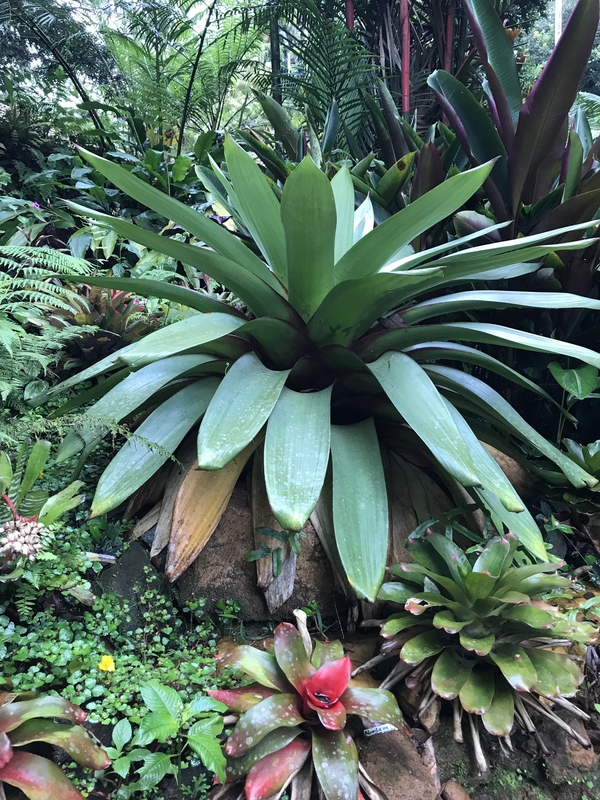 Giant tree ferns and large bromeliads greet visitors with awe. Rare and endangered species of flora have found home in this landscape of biodiversity. The sanctuary is a treasure trove of wisdom and knowledge for its visitors. Gurukula Botanical Sanctuary was founded by Wolfgang Theuerkauf, a German who made the forests of Kerala his home. Gurukula received recognition for their conservation efforts. Theuerkauf’s journey is one of patience and love as it is for the people associated with him. Suprabha Seshan who manages the sanctuary with a group of trustees, dons several roles- a habitat restorer, educator and worker. An Ashoka Fellow since 2005, a 2006 Whitley Awardee and a 2012 Continuation Funding Recipient, she believes in “recognizing the power of the natural world.” The sanctuary that is home to plant species from a range of places across the world, displays culture and intelligence unknown to the human world. Calling the 700 varieties of orchids “fussy plants”, Seshan reveals that plants communicate by sending signals to each other. Seshan emphasizes that the Gurukula is a non-hierarchical community of over forty years, sharing space mindfully- be it plant, animal or human! Several members of the local community in Peria live and work in the sanctuary. Seshan a passionate educator was instrumental in setting up a residential programs, for children to live and experience life in the wild as it were. She says, “it is the nature of children to go exploring. The body work comes first.” For this writer the experience was a truly enriching one. It is easy to believe that Seshan when she vouches for the transformative potential of living with nature. It is time to pay heed to Rachel Carson’s advice, the road less traveled must be one that leads to preservation of nature.